Home / Blog » What Causes Spinal Stenosis? If you’re looking for spinal stenosis treatment serving Miami, it’s a good idea to first understand the causes of this condition. Spinal stenosis occurs when the open spaces within your spine narrow, putting pressure on your spinal cord and the nerves within it. Stenosis of the spine often causes symptoms of pain, tingling, or numbness throughout the body. However, some cases of spinal stenosis show no symptoms. Keep reading to learn why you may have developed this spine condition and what you can do about it. 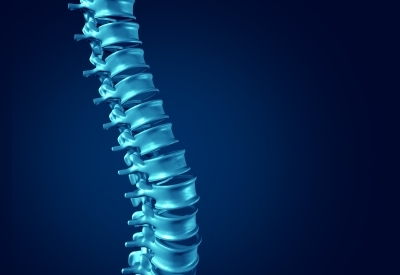 The discs within your spine act as cushions to absorb shock between your spinal vertebrae. Unfortunately, these discs dry out with age and can crack. A herniated disc can cause spinal stenosis when some of its inner material leaks out and presses on the nerves or spinal cord. Damage to your spinal bones caused by osteoarthritis can cause bone overgrowth in the spine through bone spurs that grow into the spinal canal. These unusual growths press on the spinal cord, causing the problems associated with spinal stenosis. Impact injuries, such as car accidents or other trauma, can dislocate or fracture your spinal vertebrae. Pieces of fractured bone can pressure or damage the spinal cord or nerves, leading to spinal stenosis and nerve damage. The ligaments holding your spine together can toughen, thicken, and bulge with age. Sometimes these swollen ligaments push on the spinal canal, causing the symptoms of spinal stenosis. Tumors are abnormal growths that can appear anywhere on the body. When they form inside the spinal cord or between the spinal cord and vertebrae, they put pressure on the spinal cord and narrow the open spaces in the spinal canal. Just as the causes of spinal stenosis vary, so do the treatments for this condition. Depending on how severe your symptoms are and where the stenosis is located, your doctor may suggest non-surgical treatments, such as steroid injections or therapy. If these treatments are ineffective for your condition, you may require spinal surgery to create space within the spinal cord and lessen the symptoms of stenosis.